EP in the West is a one-day arrhythmia summit sponsored by Stanford University. It’s a full day with three simultaneous tracks. This is a conference for EPs (electrophysiologists) and advanced practice clinicians with a focus on atrial fibrillation (afib). I won’t cover some of the super technical lectures. Afib is a model for personalized medicine as each patient presents with different symptoms, contributing factors, and history of afib. With lifestyle, medications, and ablation, the response differs but we don’t know why. With the advent of precision medicine, we are able to use population data, individual data, basic studies, and larger clinical studies to develop better diagnostic algorithms, novel network analysis, machine learning, personalized therapy, and, hopefully, better prevention of afib. Over time, afib may become a structural disease. The arrhythmia can cause the heart to weaken and stiffen (called remodeling) at the cellular level. Can this be reversed? Maybe. Maybe not. Studies contradict each other. We do know that supporting healthy lifestyle changes can augment and improve the success of medications and ablation. What’s on the horizon? Better ECG detection and longer ECGs for home use. They are even testing afib detection via phone selfies. Using green light for hemoglobin absorption with face tracking, they have been able to accurately detect afib in a small pilot study. How cool is that? We are in the midst of a tsunami of afib paradigm shifts. Tailoring therapy to the individual is essential to achieve the next step of better classifying afib, treating the disease, preventing progression, and identifying/treating stroke risk for patients. We need better definitions and imaging for stroke risk as well as arrhythmic mechanisms. Afib in multiple cohorts (large groups) of study has been shown to be associated with Alzheimer’s, senile, and vascular dementia. The combined disease state is associated with a significantly higher risk of mortality as well. Anticoagulation therapy (blood thinners) can decrease the risk of dementia development in afib patients without dementia. Both over-and under-anticoagulation increase the risk of cerebral ischemic injury as a mechanism from clots and bleeds. Genetic markers of arrhythmia and stroke risk are associated with increased risk of dementia. Microvascular flow (blood flow at the smallest level) also contributes to dementia patients. Aggressive risk factor management (lifestyle changes), especially keeping blood pressure within the normal range, suggests a lower risk of dementia in afib. The technology for afib treatment is reasonably mature with rate control meds, rhythm control meds, OACs (oral anticoagulants, also called blood thinners), and ablation techniques. Gaps remain in delivering and optimizing this care. We need appropriate management plus the ability to scale (use with larger populations) these treatments. We do need to make ablation more efficient, specifically in post-procedure time, which remains at 6-8 hours while pre-ablation and ablation time have shortened to a few hours. It may be that a venous vascular closure device could shorten the time in recovery. We also need to support patients with lifestyle changes (obesity, inactivity, sleep apnea, high blood pressure, diabetes, and alcohol) needed to improve success. Empowering patients to work with their chosen healthcare team is essential. The scope of afib is growing across the globe. In 2001, 2.3 million individuals in the US had afib. Today, it is over 6 million and likely to double by 2050. It is the most significant heart arrhythmia seen in the clinic. The growth of afib mirrors the growth of metabolic syndrome given the steadily aging population as 70% of those with afib are between 65-85 years old. The stroke risk of afib increases 2-3 fold with each decade. Those in their 50s have a 1.5% risk vs those in their 80s with a 23.5% risk. There is also the increased risk of mortality (death) from afib in men and women over 55 years old. Also, we see increased morbidity (unhealthy) due to hospitalizations, heart failure, stroke, and a need for rate or rhythm stabilization. In the UK, 1% of their annual healthcare (NHS) budget is spent on afib. It is a major clinical challenge among elderly patients. Afib treatment goals have been directed at minimizing the risk of stroke associated with afib, minimizing the increased stroke risk improvement of the symptoms associated with afib (palpitations, shortness of breath, fatigue, exercise intolerance), and reducing the development of further cardiac structural disease (cardiomyopathy). There are drug and non-drug strategies as well. There are two goals to treating afib. First, is the restoration of normal rhythm by medications, cardioversion, or ablation. Second, is controlling ventricular rate response in afib (rate control). Ideally, it will help to keep the resting heart rate under 80bpm or exercise heart rate under 110bpm to reduce the risk of cardiomyopathy. How symptomatic is the patient when in afib? How persistent is the afib? Has it become chronic? How is the LV function? Is there other coronary artery disease? Comorbidities (other diseases) or prior history of stroke? What prior approaches has the patient had and either failed or could not tolerate? It is a complex decision as to weighing risks, benefits, alternatives, and patient preference. Consider catheter ablation early in the treatment plan. There are several surgical options for patients and clinicians to consider. These are the two done at Stanford. Two-thirds of persistent afib patients are afib-free at five years after surgery. Can also be combined with another heart procedure (bypass or valve replacement). Strongly consider for patients with other heart issues, failed catheter ablations, or difficult cases. Should only be done by experienced and high-volume hospitals. Combines a thoracoscopic (through the chest) epicardial (outside of the heart) ablation along with as needed bypass or valve replacement plus a pulmonary vein isolation via catheter ablation accessed through the groin or neck. 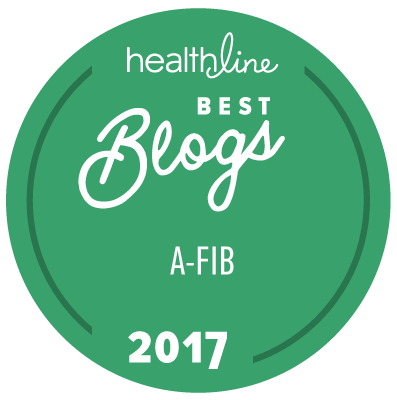 87% are afib-free with no meds after one year. An excellent option for challenging patients who cannot or do not want an open heart surgery. When Should Anticoagulation be Initiated? >1 hour of afib with CHA2DS2-VASc score of 4 or more OR a prior stroke. >6 hours of afib for everyone else. PVCs (Premature Ventricular Contractions) occur in 1% of routine 12-lead ECGs and up to 80% of 24-hour Holter monitors. They are more prevalent in men that women, more prevalent in African Americans than Caucasians, and more prevalent in a heart with structural disease than a normal heart. PVCs are associated with increased all-cause and cardiovascular mortality in patients with and without structural heart disease. We can treat primarily for symptoms via medication (beta blockers or calcium channel blockers and some rhythm control meds) or catheter ablation.